More power from the generator you trust. 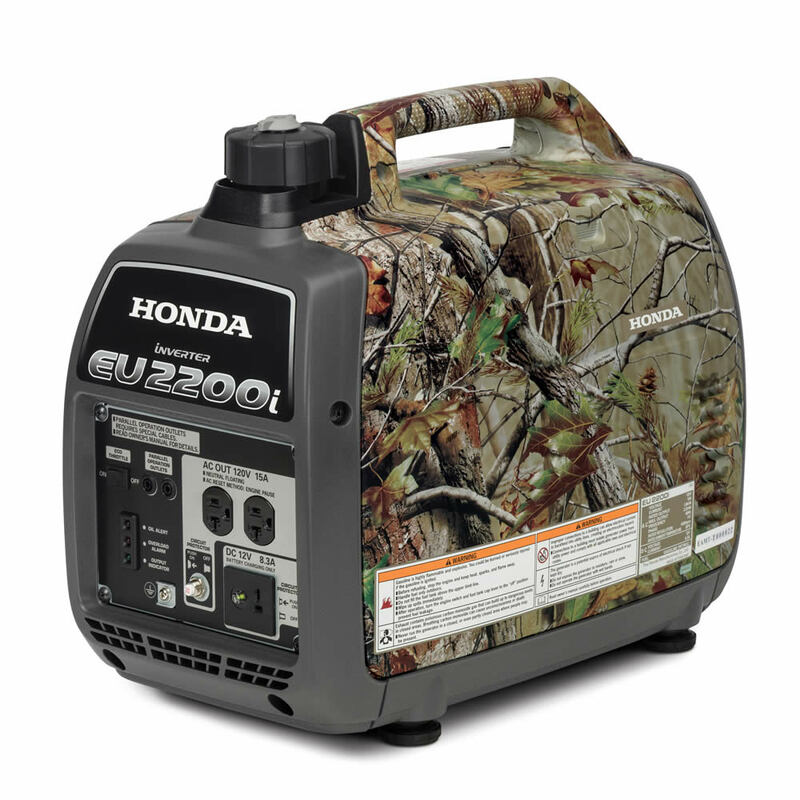 The EU2200i raises the bar when it comes to quiet, dependable, durable and easy-to-use generators. The EU2200i delivers 10 percent more power than the EU2000i, letting you power more of what you need, but with virtually no change in weight or cost. Plus it provides even better performance, combined with improved ease of use and maintenance, for powering work, home or play. MORE POWER. SAME LEGENDARY QUALITY: The all new EU2200i delivers 10% more power than the EU2000 - enabling you to power more of what you need, in the same lightweight, compact package. 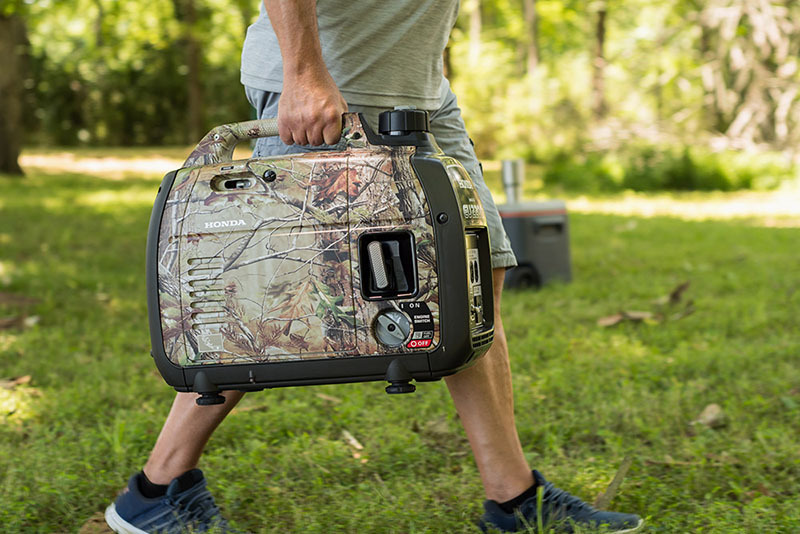 Whether it's an extra refrigerator at home, a larger saw on your construction site, a larger TV at your tailgate party, the EU2200i gives you the power to get more done. 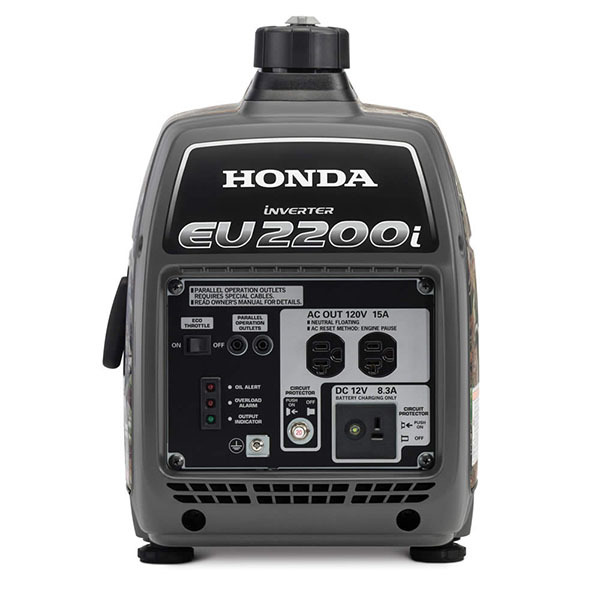 HONDA GXR120 ENGINE - COMMERCIAL GRADE RELIABILITY: The EU2200i is powered by the Honda GXR120 Commercial Series engine. 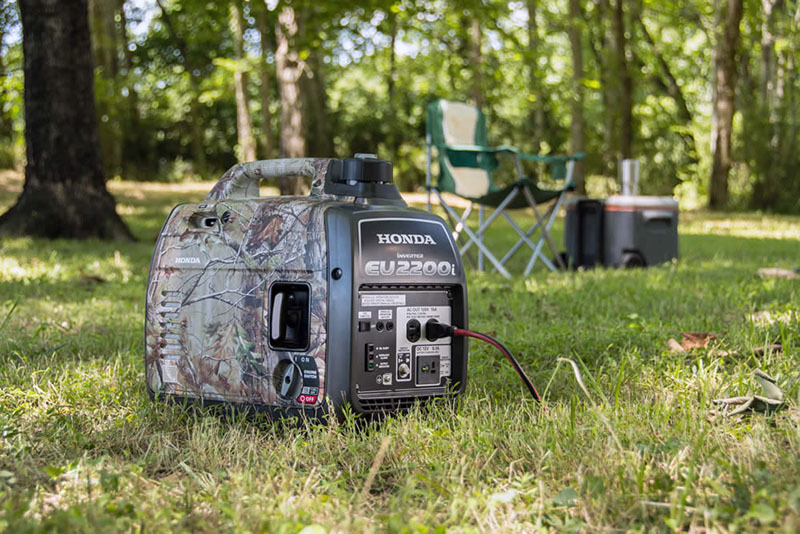 The GXR120 delivers exceptionally quiet, smooth, fuel-efficient performance in a small, lightweight package. 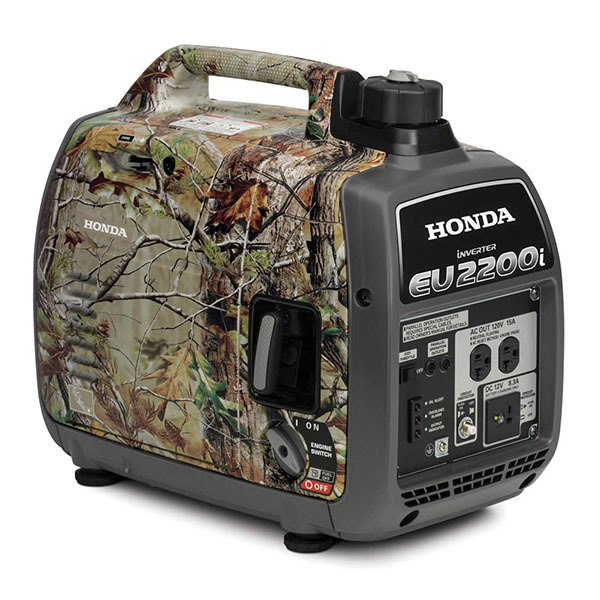 The size of a generator's engine directly correlates to how much power it can produce. At 121 cc, the GXR120 is at the top of its class - ensuring the EU2200 always produces the power you need to get the job done. Originally developed for heavy duty construction equipment, the GXR120 also delivers superb durability and reliability. SUPER QUIET - LESS NOISE THAN NORMAL CONVERSATION: So quiet, your neighbors will thank you. The EU2200i operates at 49 to 58 dBA, which is less noise than a normal conversation. This makes it ideal for camping, supplemental RV power, and any other activity that requires quiet operation. DOUBLE YOUR POWER WITH PARALLEL CAPABILITY: Need more power? Add a second EU2200i for additional power. Two identical models can be paralleled with an optional cable for up to 4400 watts of power. The EU2200i will also parallel with EU2000iK1 / 1 models. Find a complete serial number list at the link below. BETTER OVERALL DURABILITY: It's the little things that show a product's quality and durability. Like the stamped metal recoil rope insert on the EU2200i - reducing potential damage to the body of the generator. Or the increased ventilation area, resulting in improved cooling of key components. Or the improved stator / rotor configuration, using some of the highest quality and most powerful magnets available.